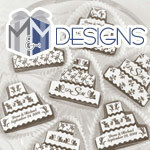 Welcome to M&M Designs where you’ll find a wonderful variety of uniquely decorated items to enhance your Simcha. 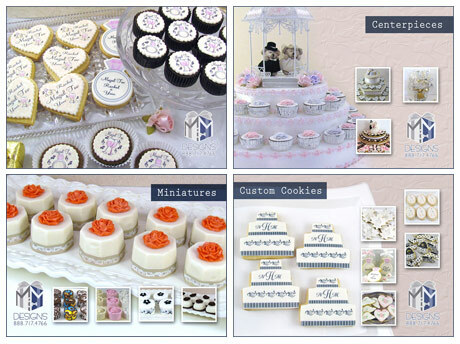 They can all be customized for your special celebration. 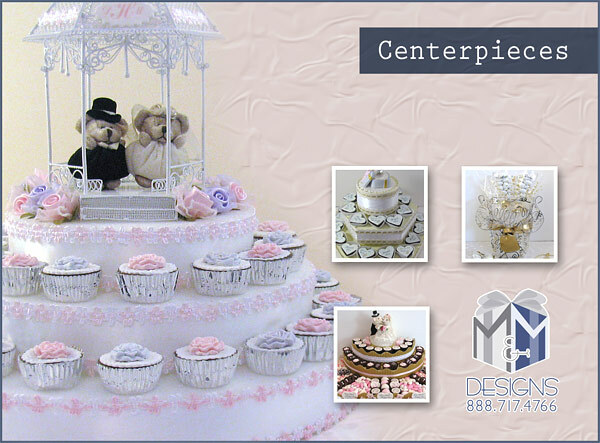 We specialize in creating decorated items that are edible works of art. 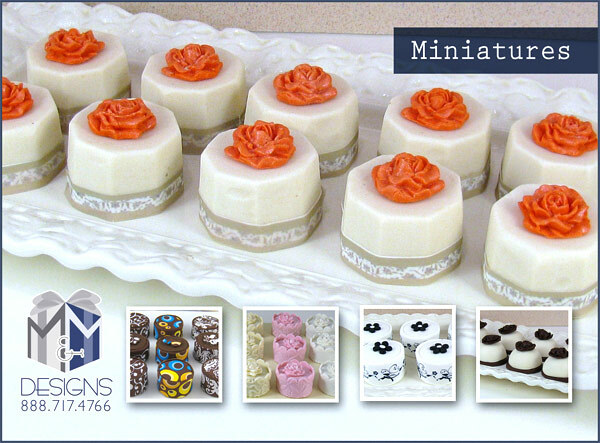 Our mini brownie bites are the perfect size for parties, and our larger ones make great party favors. 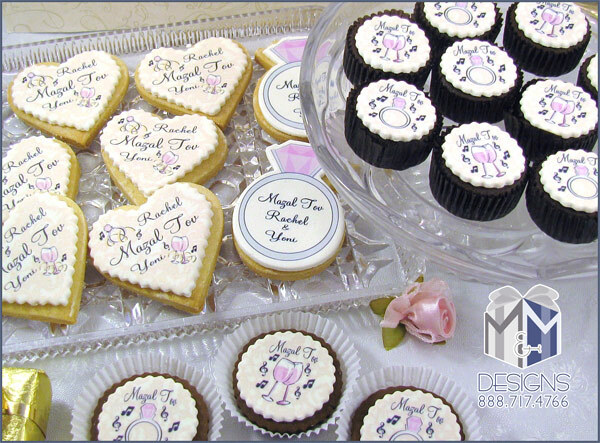 Sugar cookies and luscious cupcakes are great for any occasion. 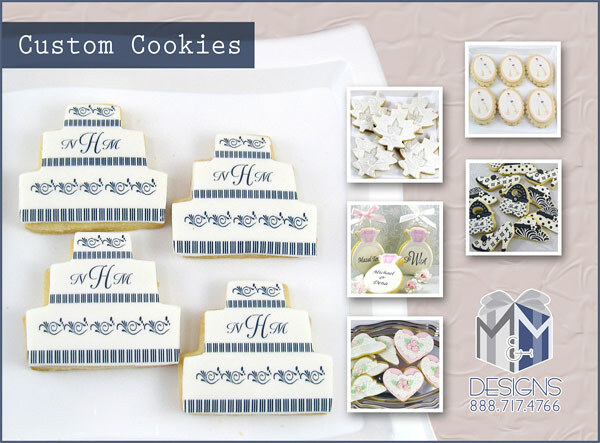 In addition, we also carry miniatures, chocolates and chocolate covered specialties – many of which can be decorated with edible images. We offer a variety of stock designs and styles to choose from, and because we do all the artwork ourselves, we can customize your order with colors and graphics that match your colors or theme.